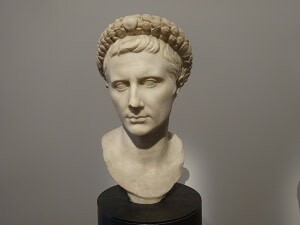 In April 44 BCE, barely two months after the Ides of March, the young C Octavius (born 63 BCE) arrived in Italy to claim the political inheritance of his adoptive father, the slain dictator Julius Caesar. Some fourteen years later, his final victory over Mark Antony and Cleopatra in Egypt in the summer of 30 BCE paved the way for almost 45 years of undisputed mastery over the entire Roman world. This lecture endeavours to reappraise the momentous career of the man who would be known as Imperator Caesar Augustus from January 27 and is widely considered as Rome’s first Emperor. The chosen approach will be to confront the ‘alternative facts’ of his ‘post-truth’ retrospective in his Res Gestae, the official record of achievements he divulged in 13 CE, one year before his death, with the extant historical sources. This exercise will reveal his breathtaking distortions of the truth and offer valuable insights into authoritarian statecraft and mass communication.